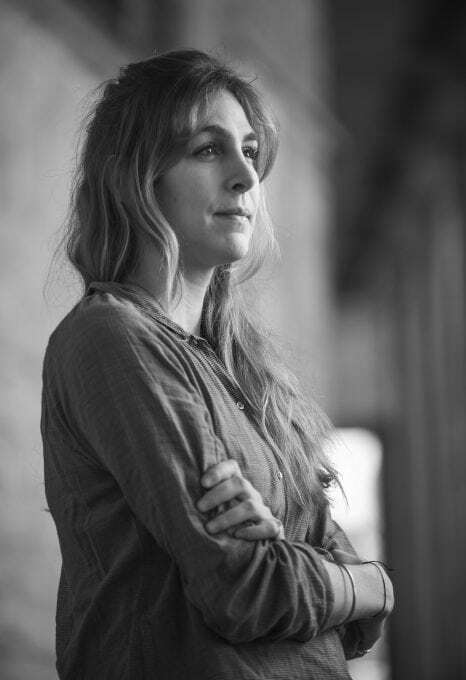 STELLA DIAMANT IS THE AUTHOR OF A WORLD-FIRST STUDY ON WHALE SHARKS IN MADAGASCAR. 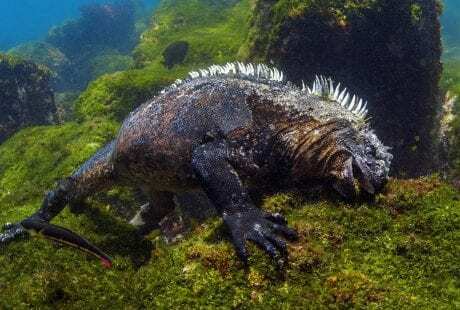 She has developed a new code of conduct for the island that aims to protect these endangered creatures by ensuring tourism is responsible and sustainable. 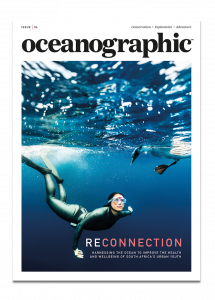 Oceanographic spoke with Stella during the week her new study on whale shark aggregations in Madagascar was published. With news of her research shining a spotlight onto the conservation work she and her team at the Madagascar Whale Shark Project are doing, we talked to her about how she is working to encourage positive ecotourism and responsible whale shark encounters. Oceanographic Magazine (OM): Tell us a little bit about your recent study. 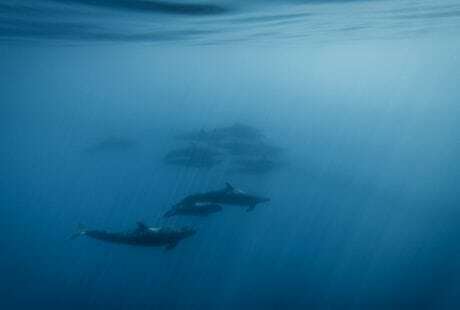 Stella Diamant (SD):Our new study, which was published in the journal Endangered Species Research, revealed that Madagascar is a feeding hotspot for juvenile whale sharks. When I first arrived on the island, scientists didn’t know there was a whale shark aggregation here so it’s pretty exciting to be able to prove it. When I started my research project, some sharks had been seen around Nosy Be but less than a dozen individuals had been identified on WhaleShark.org. Now, we know there are more than 300. OM: Why are your findings so important? SD:Because there has never been a published study on whale shark populations in Madagascar before – ours was a world first. Also, the sharks we identified haven’t been seen anywhere else before which adds a bit of mystery – where have they come from? – but also shows that we need to make a clear effort to protect them and their habitat. 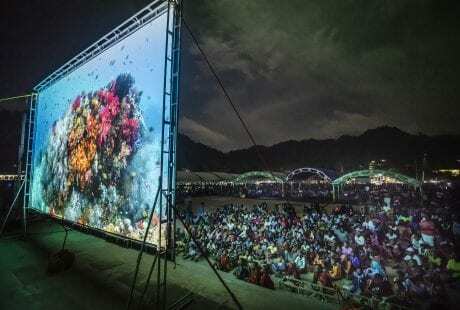 OM: Do people choose Madagascar just for the whale sharks? SD:Yes, they do. I think this is the case more and more. It’s still a bit of a secret spot and being difficult to get to and somewhat politically unstable might protect it actually from over-tourism, but I think the whale sharks are enticing people to visit. 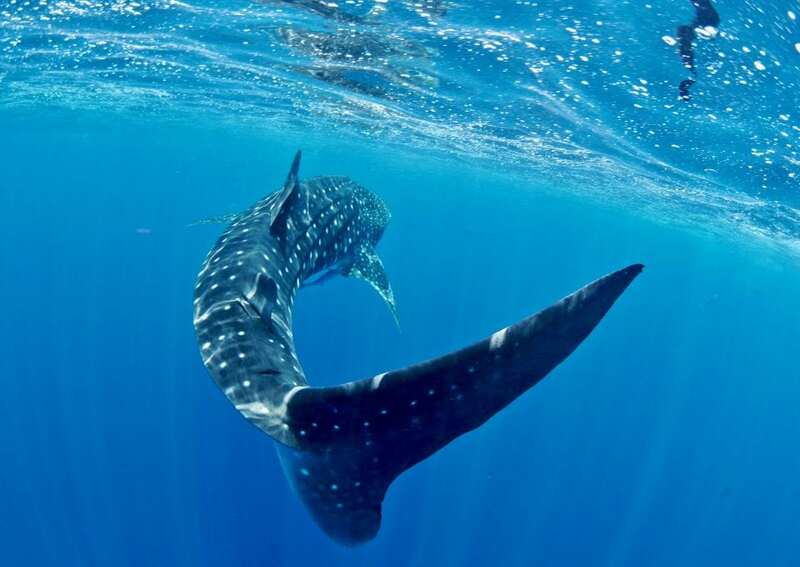 OM: Why are you so passionate about protecting whale sharks? 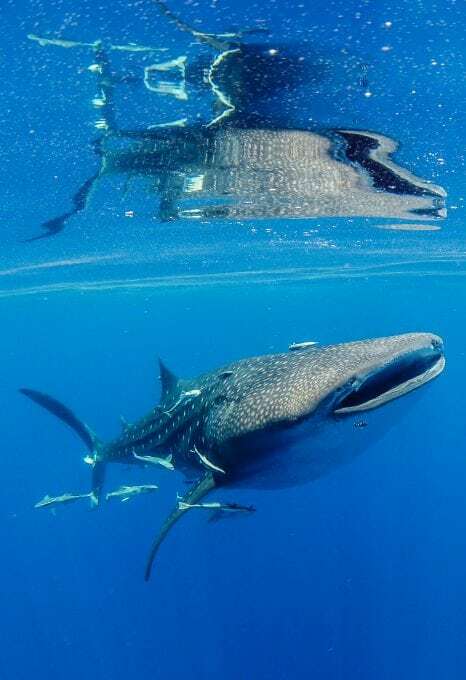 SD:Whale sharks – the largest fish in the world – are a huge asset for eco-tourism, particularly in poor countries, but they’re threatened by many different things like overfishing and ocean pollution. The species is categorised as Endangered on the IUCN Red List, which, of course, means that it’s important for us to protect them. However, this is even more important because they are so slow growing: we estimate it takes around 30 years for them to reach sexual maturity. So we need to make sure they can reach the age that they’re able to reproduce. On a personal level, they’re such beautiful creatures and I find it so humbling to swim with them. OM: There are lots of places in the world where you can see whale sharks. What’s so special about the whale shark interactions in Madagascar? SD: The really interesting thing about the Nosy Be area of Madagascar is the tuna aggregations. Here, you’ll find whale sharks vertically feeding with huge bait balls of bonito all around them. We think the tuna and whale shark work together to maximise the amount of bait fish they’re both able to eat. As well as the incredible whale shark encounters, we also see mobula rays, turtles and Omura’s whales, which is pretty special. OM: How did people react when you first started telling them about the whale shark population you’d found? SD:Initially, the other scientists I spoke to were surprised. They assumed they would have known about it if there was such a significant population and that someone would have sent a big team there. We think the tuna and whale shark work together to maximise the amount of bait fish they’re both able to eat. OM: You’ve also designed a code of conduct for whale shark encounters – what was involved in that? SD:First, Simon Pierce from the Marine Megafauna Foundation visited and gave a talk on why a code of conduct is so important. Then, our operator partner, Baleines Rand’eau, hosted a discussion with operators while I was away during the off-season to talk about what guidelines people stick to elsewhere and how we should adapt this for Madagascar specifically. I then used the outcomes from this discussion to design a code of conduct document which we translated into French, English, Italian and Malagasy (all the languages of Nosy Be) before spending two months visiting every single operator that jumps into the water with the whale sharks. When I talked with people I explained how they should behave with the sharks and why this is so important – for their customers to have a better experience as well as to protect the sharks themselves. It’s a win-win situation for everyone. We’ve left printed copies with all the operators too for their customers to read. OM: What was the initial reception like? SD:I think initially people were a bit unsure about what it was and didn’t want to be told how to do things but I’ve tried to approach them in a way that shows them I’m here to help. It’s been going surprisingly well – especially because there’s so much evidence now that it makes such a difference for the operator as well because people will have longer and better encounters with the sharks. 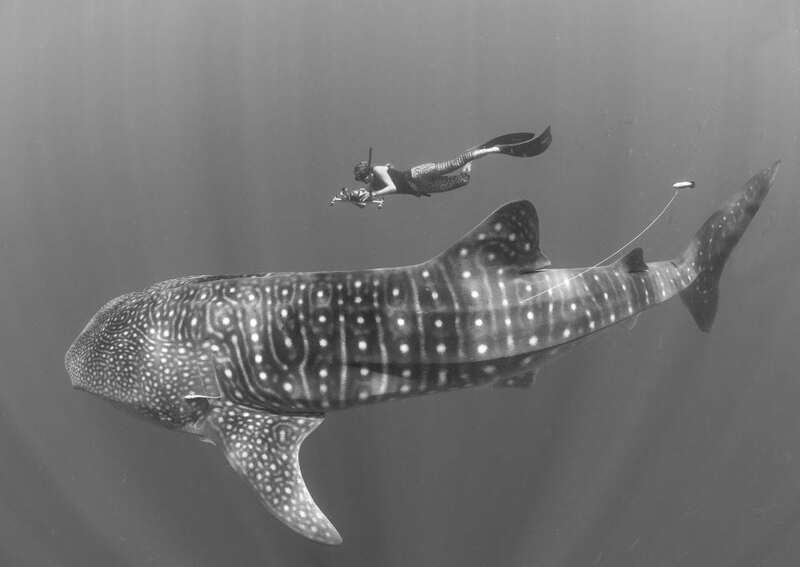 OM: What has been the most challenging part of implementing a whale shark code of conduct? SD: Rolling out the guideline once they’ve been agreed to was actually quite easy. The challenge was convincing people it’s for their benefit! And of course some people never listen, I’ve been struggling to collaborate with one operator in particular. OM: And have you noticed a difference since you began implementing the code of conduct? SD: Yes! It’s been really special to see how much things changed once the operators understood the reasons behind why we should behave in a certain way with the sharks. Now, if there’s a shark in the water, boats will wait so the shark isn’t crowded by too many boats at once. This means the sharks are relaxed and hang around for much longer. Obviously this is better for the tourists too and I love seeing everyone smiling and happy because they’ve had such an amazing encounter – not to mention being able to take incredible photos without other people’s fins in the way! OM: What type of things do you recommend in your code of conduct? SD:Ideally, there should only be one boatload of people with no more than 10 people in the water with a shark at a time. Other boats should wait until the first group’s encounter has finished. 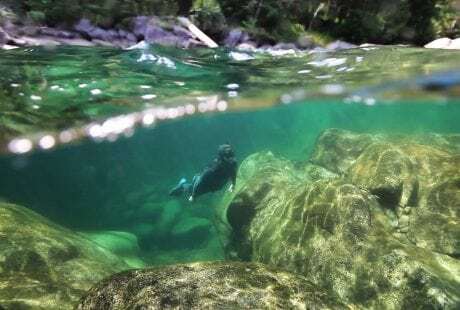 The boats themselves should stay at least 25 metres away when they have their motor running and if the shark gets any closer than that they should turn the engine off to minimise the risk of a boat strike – or potentially hurting a snorkeler. The swimmers themselves should give the sharks plenty of space: stay around three metres away from the shark and never try to touch or “ride” them. We also advise against using selfie sticks in the water. I love seeing everyone smiling and happy because they’ve had such an amazing encounter – not to mention being able to take incredible photos without other people’s fins in the way! I am now working on rolling out an education project where local people are recruited to go into schools and teach marine conservation. OM: Do you have any advice for tourists that want to swim with whale sharks? SD: Please, use a sustainable operator. If you read up before you go and ask the right questions, it’s easy to find an operator that is sticking to the code of conduct and is aware of good practice. It’s not only better for the sharks but means you’ll have a better encounter with the shark as well. And just never touch a shark! You can’t predict how it will react and, at the end of the day, it is a wild animal. It’s rough skin is also likely to make you bleed too. OM: With more and more people coming to see the sharks every year, how are they going to manage the increase in visitors? SD: Good question. That’s why the code of conduct is so important. During whale shark season in October, we’ll see so many sharks that it’s not difficult for each boat to spend time with a different shark rather than all crowding around the same one. OM: What’s next for the project? SD: There’s a lot in the pipeline and this year I’m going to be in the field for six months rather than three. I am now working on rolling out an education project where local people are recruited to go into schools and teach marine conservation. This is something that the Marine Megafauna Foundation is already doing really well in Mozambique so it would be fantastic to replicate it in Madagascar. We’ll also have a new intake of volunteers helping to collect data. We’re also doing a socio-economic survey trying to understand how much money a shark is worth alive as a tourist attraction, which will help in our work to protect them. OM: And, lastly, what’s your overall aim? SD:I want to continue to improve the interactions between tourists, boats and the sharks, and I also want to eventually benefit local people in Madagascar via whale shark tourism. My biggest aim is to get the species protected because no sharks or rays are currently protected in Madagascar and they’re disappearing, largely because of bycatch. Publishing our findings is a key step! Interested in reading more about whale sharks? Expert Dr Simon Pierce, a columnist for Oceanographic, writes about the curious case of the whale sharks of Mafia Island in the launch issue of the magazine – find out more about Issue 01 here.